Pre-Order now for delivery in Nov 2017. The Philips SpeechMike Premium Air is the first cordless microphone designed for professionals wanting to get the best results from their speech recognition system. Ideal for use with Dragon Medical, Dragon Legal and Dragon Professional. 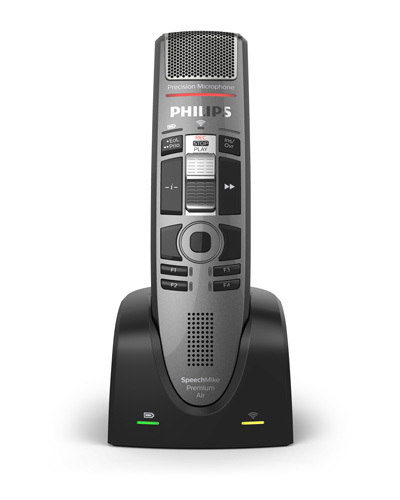 The Philips SpeechMike Premium Air SMP-4010 features slide-control operation. Includes a 2 year replacement warranty.